AMP Visual’s Campaign for Tayto’s two New Flavours has hit the billboards, as well as the shelves and aisles of shops and supermarkets across the country. Working closely with Níamh O’Shea, Senior Brand Manger at Largo Foods, AMP Visual has created a range of executions, across a variety of media, to promote Tayto’s two new flavours, which were selected by the public through a Facebook-based taste testing. Copy and concept work is by AMP art director Gary Kelly, with account management by Richard Whitty. The comprehensive campaign consists of Outdoor, POS, Digital, Trade advertising, PR Promotion and event development. “Tayto is great fun to work on as a brand, but it’s also a big responsibility, knowing you’re working with a national icon.” Says AMP Visual account manager Richard Whitty. Outdoor consists of a national 48 and 6 sheet campaign to create impact at a national level. As 70% of final purchase decisions are made at point-of-sale, a series of high impact POS units was developed, to bring home the new flavours message in-store. One of the key elements of the new flavours launch is Flavours Day, a family fun day taking place at Tayto Park, on October 5th. 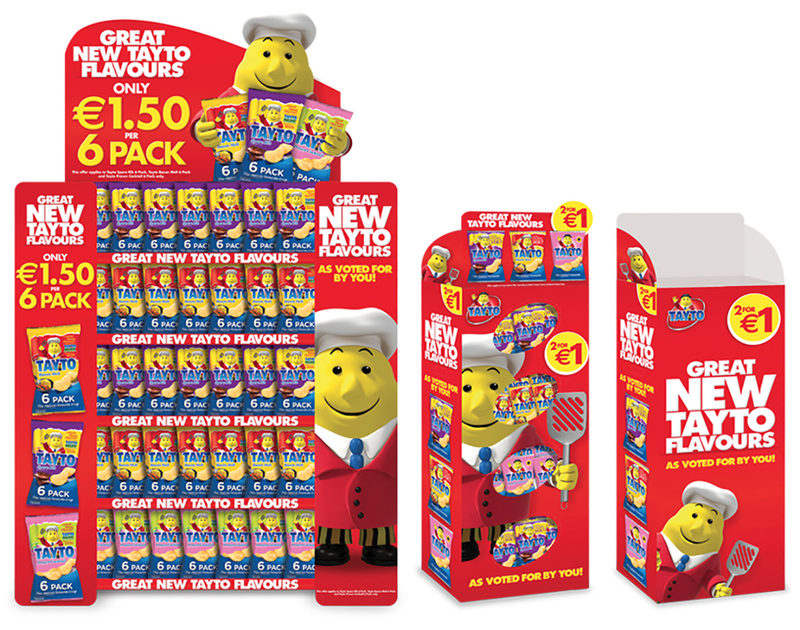 AMP Visual’s below-the-line campaign to promote Flavours Day, consists of in-store posters, DL flyers, Tickets, T-Shirts and Branding for Tayto Park on the day, as well as Facebook and Twitter take-overs, targeting Tayto’s 250,000+ online fans, friends and followers. 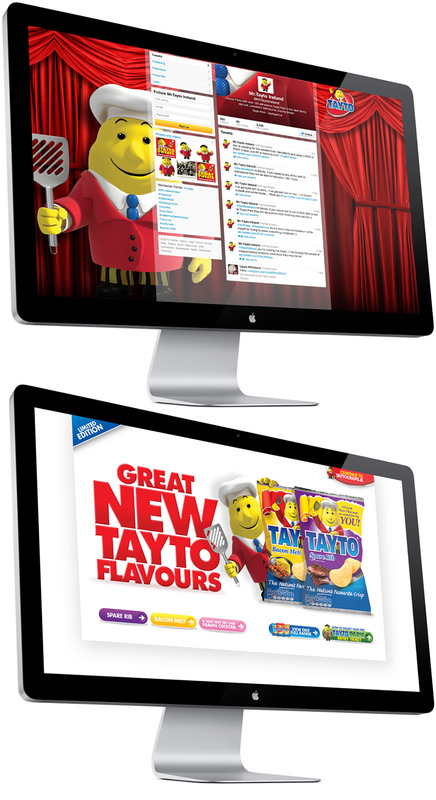 AMP Visual also created a website takeover of taytocrisps.ie, to promote both the launch of the new packs and Flavours Day. To capitalise on the heightened awareness of the brand, a Facebook competition has been developed to simultaneously promote the New Flavours, and generate new FB connections. A teaser campaign on Facebook and Twitter is promoting the launch of the new flavours, supported by Facebook timeline banners. The launch was announced and supported in Checkout magazine with a full page advert. 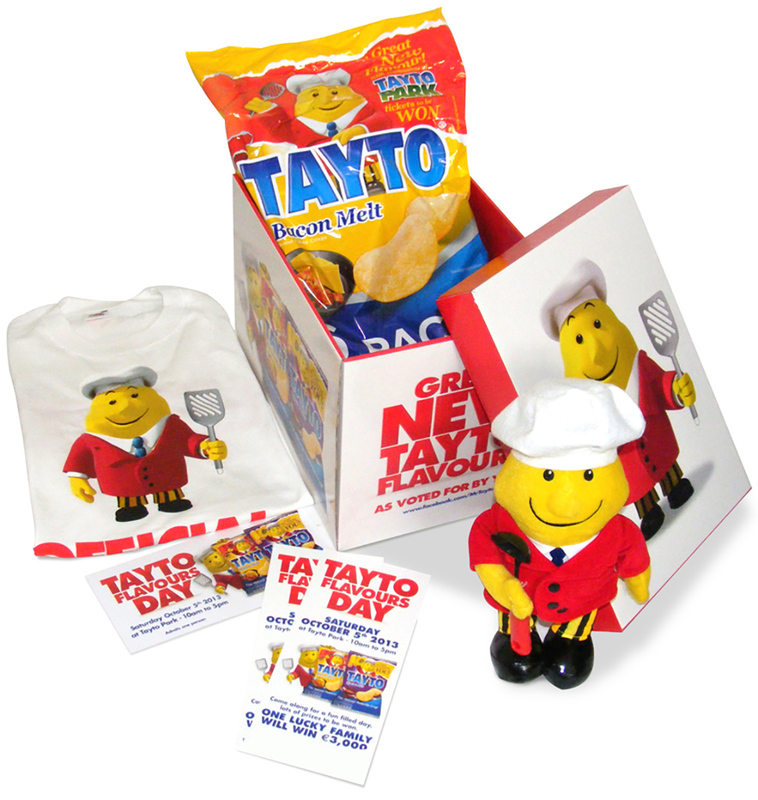 To finish things off, a gift box created full of Tayto Goodies and sent out to media stakeholders. 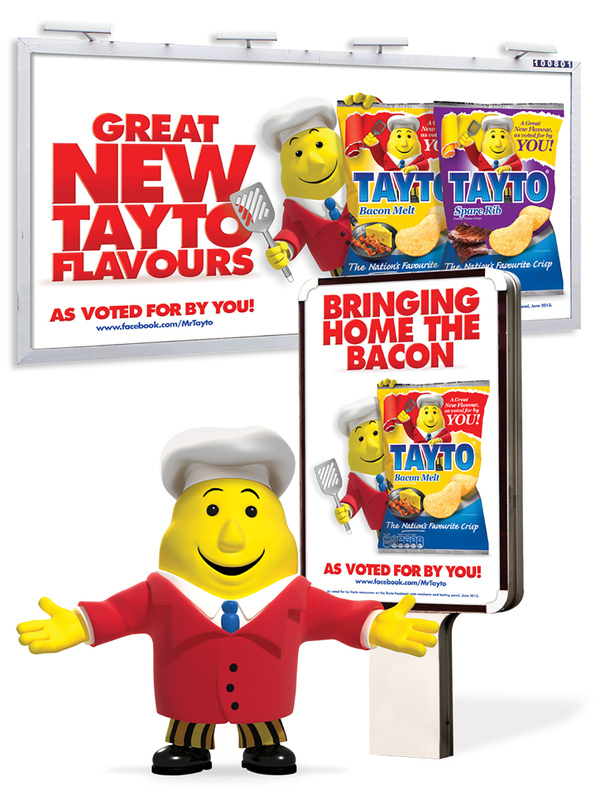 Mr. Tayto continues to go from strength to strength and AMP Visual is proud to be a part of that success.